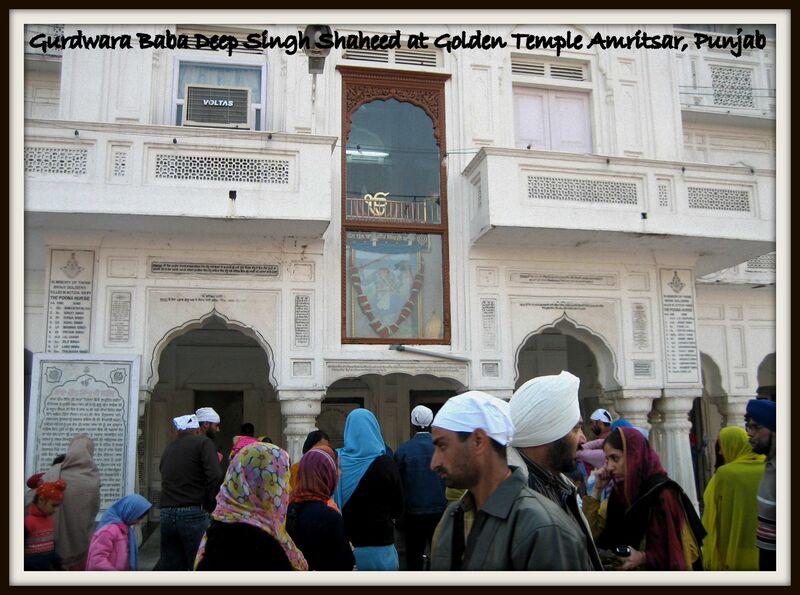 Gurdwara Baba Atal Sahib is situated to the south of the Golden Temple, about 185 metres from Sarai Guru Ram Das. 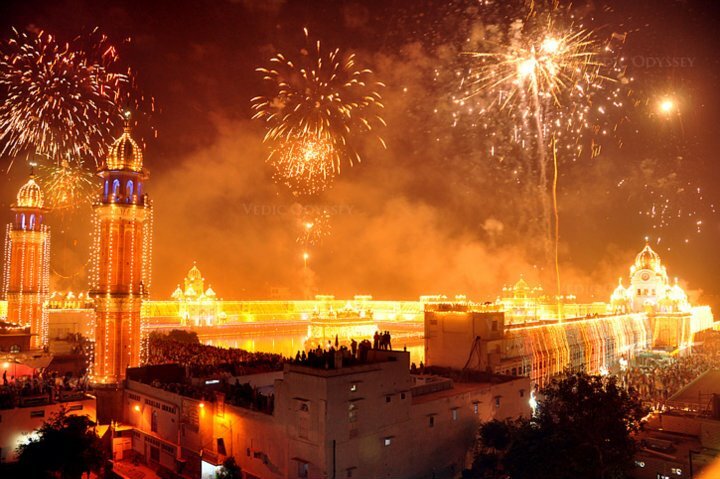 The nine-storey octagonal tower, standing 40 metres high, is the tallest building in Amritsar. 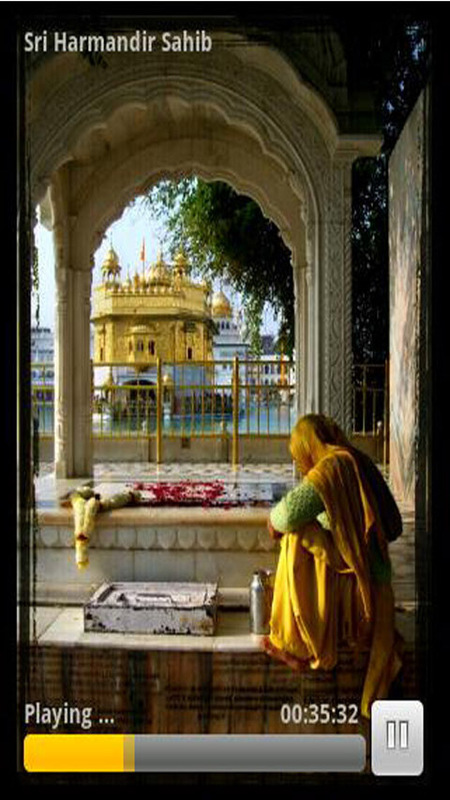 Originally a samadhi, or cenotaph, enshrining the remains of Baba Atal Rai, a son of Guru Hargobind, the sixth Guru of the Sikhs, it was transformed, with the passage of time, into a gurdwara. According to popular tradition, Atal Rai, at the age of nine, restored his close friend Mohan, son of a widow, to life after his sudden demise. 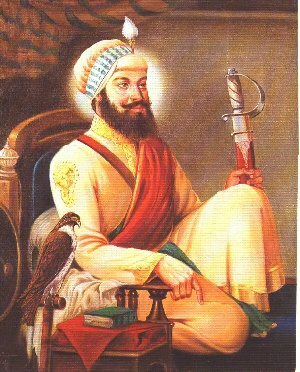 Guru Hargobind considered his son’s act as being against the Sikh tradition and rebuked him for performing a feat involving a miracle and warned him that one’s spiritual power should be displayed “in purity of doctrine and holiness of living”. It is said that Atal Rai told his father that he would lay down his own life for breaking the law of nature by reviving his friend from the dead. So he went into a meditative trance and soon breathed his last. His pyre was lit on the bank of Kaulsar and, later on, to perpetuate his memory a monument was raised. Although Atal Rai died at the age of nine, he was honoured with the title of Baba, a grand old man, for the extraordinary powers he had displayed. The present nine-storey building represents the nine years of Baba Atal’s life. Different authors have given different dates of its erection. However, it appears that the present structure was raised sometime in the last quarter of the eighteenth century, with repairs and renovations extended from time to time. 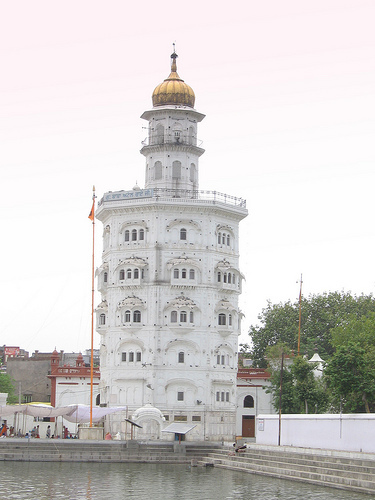 The edifice is so designed as to have a double octagonal structure, one rising exteriorly and the other interiorly – the former also serving as circumambulatory. The storeys rising on the exterior and bigger octagonal base terminate at the sixth level, but the interior and smaller octagonal base supports nine storeys, allowing the three upper storeys, surmounted by a gilded dome, to rise considerably above the high point of the exterior elevation. The walls are so solidly built that a double staircase runs to the very top through the breadth of the wall itself, with a provision for entrance at each floor. There are four doors on the ground floor, one on each of the cardinal sides. However, the main entrance faces east. Within the interior octagonal elevation, also having four doors, is kept the Guru Granth Sahib, enshrined in a beautifully wrought brass canopy, surmounted by an exquisite chhatri. The doors are made of silver and brass with elegantly embossed designs. Brass plates embossed with figures recounting Sikh and Hindu themes are affixed in a set of three plates on each of the four outer doors. The embossed brass sheets were presented by the devotees about the middle of the nineteenth century and later. A few of these bear names and addresses of the devotees and also the dates of presentation. The most typical and best specimens of the art of embossing on brass that thrived in Amritsar in the hands of craftsmen of Kucha Fakirkhana in the preceding century is seen in the plates embellishing the Baba Atal Gurdwara and one plate carries the trademark name of the craftsman. The interior walls of the first floor are adorned with murals. Unfortunately, many of these have been obliterated beyond recognition and at present only 42 panels survive. 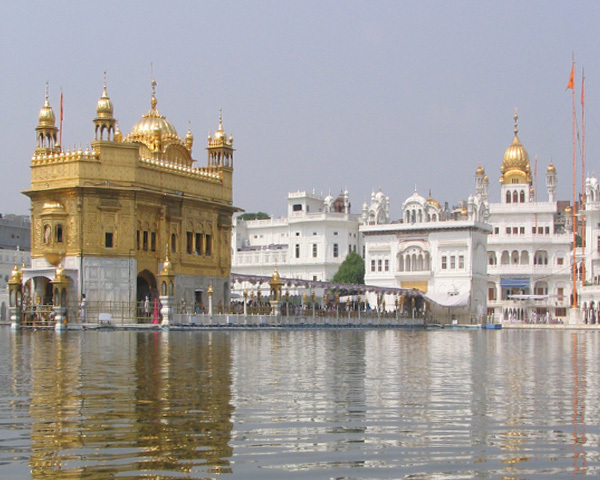 A large series of paintings unfold, stage by stage, the life of Guru Nanak. The first painting in the series represents all the gods requesting the Almighty to send a holy person to earth to relieve it of the burden of Kali Yuga; and the last depicts Guru Nanak appointing Angad Dev as his successor to the Guru gaddi. 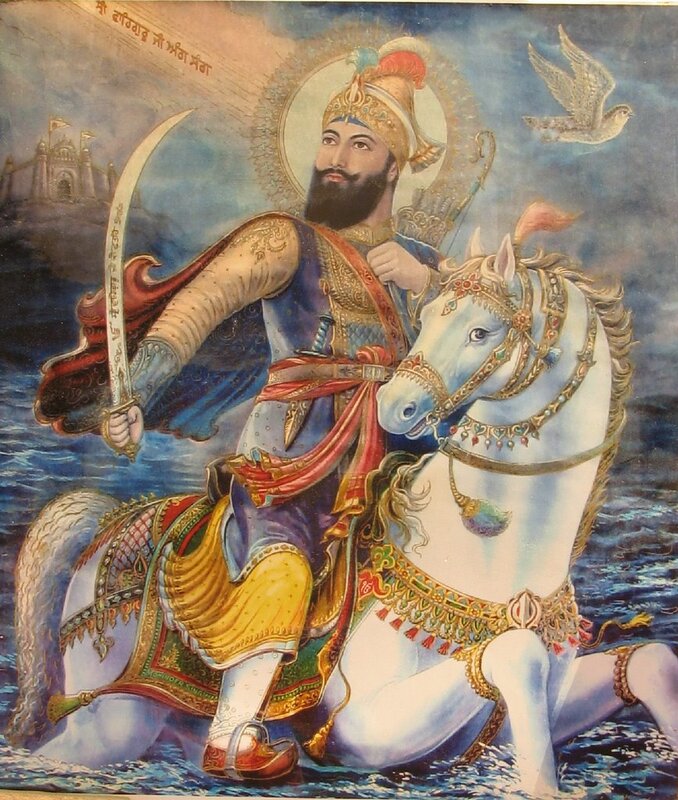 Another series represents Sikh martyrs, including the four sons of Guru Gobind Singh, who laid down their lives for the cause of their faith. Among the series of paintings pertaining to Guru Nanak, those depicting scenes from his childhood are of special interest. One of these, for instance, records a school scene, depicting Nanak, at the age of seven, commencing his education. Nanak, along with his father, Baba Kalu, is seated in front of the mullah, Kutbdin. Just at the start of the first lesson, young Nanak is seen explaining the meaning of the first letter to the mullah. Some of the pupils are waiting to show their phatti to the mullah, while others are either cleaning it or writing on it. Murals in a considerably damaged state are also to be seen at the deorhi or the first entrance to the shrine. Large panels illustrate scenes from the life of Baba Atal and Guru Nanak; and the various stages of the battle of Muketsar. There are also two series of paintings: one, presenting the ten Gurus; and, the other, depicting members of the whole lineage of Baba Buddha Ji. 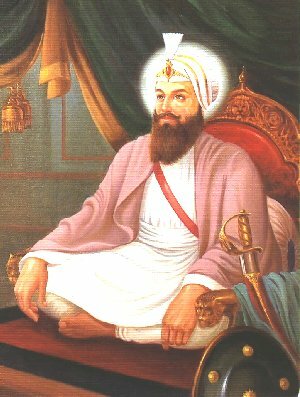 Sri Chand and Lakhmi Das, two sons of Guru Nanak, are also portrayed. A few damaged paintings are also to be seen on the front wall of tosha khana, the treasury, located adjacent to the tower. Michael Edwardes considers these murals to belong to the early nineteenth century. But there are two strong reasons that suggest a later date. 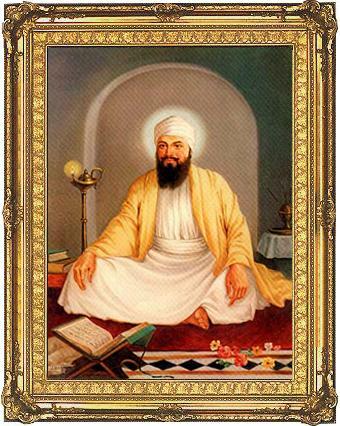 First, no reference to Pandit Brij Nath, who appears in one of the paintings showing Guru Nanak being taught by him, is to be found in Janam Sakhis written before the early nineteenth century. Secondly, the calligraphic style of the Gurmukhi script seen in these paintings evidently relates to a later period. Therefore, these murals appear to have been executed in the last decade of the nineteenth century. It is believed that the muralist Mehtab Singh, born in 1871, executed these murals. 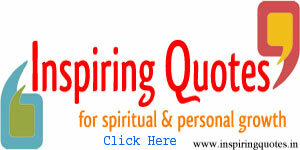 Most of the personages portrayed in paintings, except Nanak, are presented in profile. Indian red, ochre and other earth colours, with frequent touches of gold, establishes the key to the colour scheme. A sense of perspective and foreshortening, though not perfect, gives the illusion of depth and volume. The figures are projected with the help of light and shade. The observations made here are based on a visit to the shrine in 1970. In 1971, the entire painted area was repainted in gaudy colours in a technique ill-suited to the old murals – all in the name of ‘renovation’. The poor and the needy are fed and helped in the Gurdwara of Baba Atal. Throughout the day, devotees come to pay homage, bringing prepared eatables to be distributed among whosoever is present in the shrine. This has made the following saying popular among the people, not only of Amritsar but of the entire Punjab: “Baba Atal Pakian Pakaian Ghal” (Baba Atal sends prepared meals).